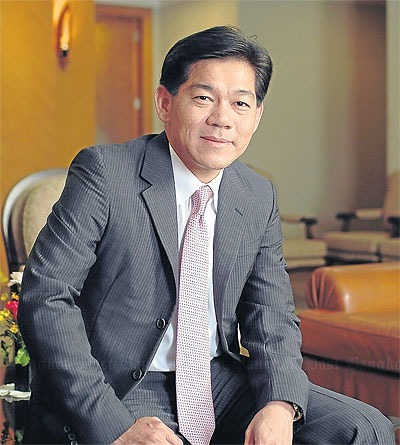 Major Cineplex Group Plc (MAJOR) is Thailand’s leading entertainment lifestyle company, with core businesses in cinemas, bowling, skating rinks, retail space, film distribution and media advertising. Chairman Vicha Poolvaraluck discusses the company’s strategy and outlook. Plenty of room for growth, says Mr Vicha. Why is Major defined as a lifestyle company and not a cinema company? We consider ourselves an entertainment lifestyle company, as we want to provide our customers with the best entertainment experience possible, be it in terms of the best movie screens, the best popcorn, the best bowling, karaoke or ice-skating experience. All of these activities are part of our customers’ lifestyles, and we intend to entertain them and provide the best possible experience. How is Major able to be so well positioned throughout Thailand? We have a unique expansion model that allows us to build and expand throughout the country. We have our own stand-alone entertainment malls in Ratchayothin, Sukhumvit-Ekamai, Rangsit and Pin Klao. We have lifestyle shopping malls with Siam Future Plc, and we expand with shopping malls such as Central Group, the Mall Group, Robinson and local developers as well. Finally, we expand with hypermarkets such as Big C and Tesco Lotus. In recent years malls and hypermarkets have expanded rapidly throughout Thailand, and because Major is able to provide a complete entertainment experience, we have been to expand with them, from 360 screens in 2010 to 500 by the end of this year. Major has stakes in a variety of companies. Can you explain the synergies of these investments? All the companies in our portfolio directly or indirectly support Major’s businesses. It’s akin to a spider’s web whereby we have a company such as Siam Future that develops lifestyle shopping malls, and we can provide the entertainment; a property fund such as MJLF gives us the opportunity to raise capital to further expand our business; and MPIC acquires international movie licences and produces and distributes Thai movies. These are just some examples of how each company supports Major’s business, allowing us to grow and not worry about the non-core aspects of our business. How is Major’s international expansion progressing? In India we have a 6.5% stake in PVR Cinemas, which is now the country’s largest multiplex chain. It has 383 screens in 36 cities, and with PVR Blu-O there are 110 bowling lanes in five locations. Strong expansion is expected for both businesses over the next two years. Also, we’ve recently partnered with Japan’s Aeon Mall to operate a cinema complex in Phnom Penh with seven screens. How do you view Thailand’s cinema industry progressing? The industry has changed dramatically in recent years, with the quality of movies and acting improving tremendously. Before, we used to marvel when a Thai movie achieved 100 million baht, but now the bar is set at 200 million baht and higher, and when you have seen how well films such as Pee Mak have performed, one cannot help but feel confident about the future of our cinema industry. When you compare Thailand’s cinema market with South Korea’s, you see how much more potential there is. South Korea has a population of 50 million, with 2,000 screens and 200 million admissions per year. The movie culture there is strong, with 65% of the films locally made and first screening times at 8.30am, and the cinemas are still full. Thailand on the other hand has a population of 70 million, about 750 good quality screens and fewer than 50 million admissions per year, so the market here is very small compared with South Korea’s, but it implies we have a lot of opportunity to build on the number of screens and the boost the quality of Thai movies. What effect will the Asean Economic Community have on your business? Thai films are already incredibly popular in our neighbouring countries _ Myanmar, Laos and Cambodia _ and 15 Thai films were distributed throughout cinemas in Malaysia and Indonesia. This will really benefit us, as it opens new markets. And when we compare Major’s capabilities in terms of marketing, strategy, products, everything else, we feel that we are ahead of the region and can benefit from this opening. Where do you see Major five years from now? We plan to have 1,000 screens by 2020. We want to continue to provide the best cinema experience for the customer, for each one to have a wonderful experience with the best sound, the best picture, the best popcorn in the world. We want our customers simply to enjoy the experience, and this is what we are thinking and focusing on every day. Previous PostWhat happened this week 23/09 – 27/09Next PostRandom Thoughts: Babushka!